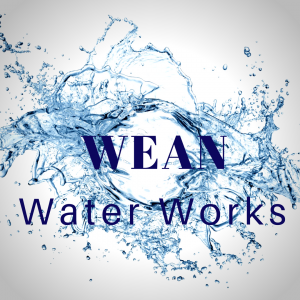 Wean Water Works is your trusted source for service you can trust and depend on. As a local, family-owned business, we understand just how important it is to extend the morals and values, that are both the foundation of our family and our business, to our customers. We built our business on three pillars: honesty, expertise, and fair treatment. Honesty: We are honest in our work and the service we provide. We deliver what you need- when you need it. We value and respect our customers, never providing a product or service unnecessarily. Expertise: Wean Water Works goes to great lengths to ensure that our knowledge is current, cutting edge, and in-depth. We regularly attend schools, workshops, manufacturers classes, and work with the best suppliers and partners on the market ensuring we have the best resources and industry knowledge available. Fair Treatment: We treat our customers the way we would want to be treated. Wean Water Works places a heavy emphasis on not just customer service, but quality customer service. We want to make sure all of your questions are answered, your problem is solved, and you are highly satisfied with our service.